Bored on a long haul flight? 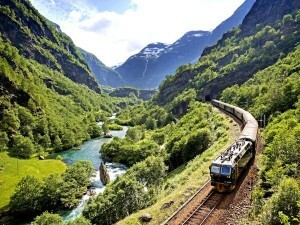 Well watch a Norwegian train journey (alternatively you could just take a Norwegian train journey in the first place). BA are introducing films of a Norwegian train journey for passengers to pass the time. Journal of Advertising Research Article on Living & Working in the Cloud. Here’s a copy of the article I wrote for The Journal of Advertising Research this month. 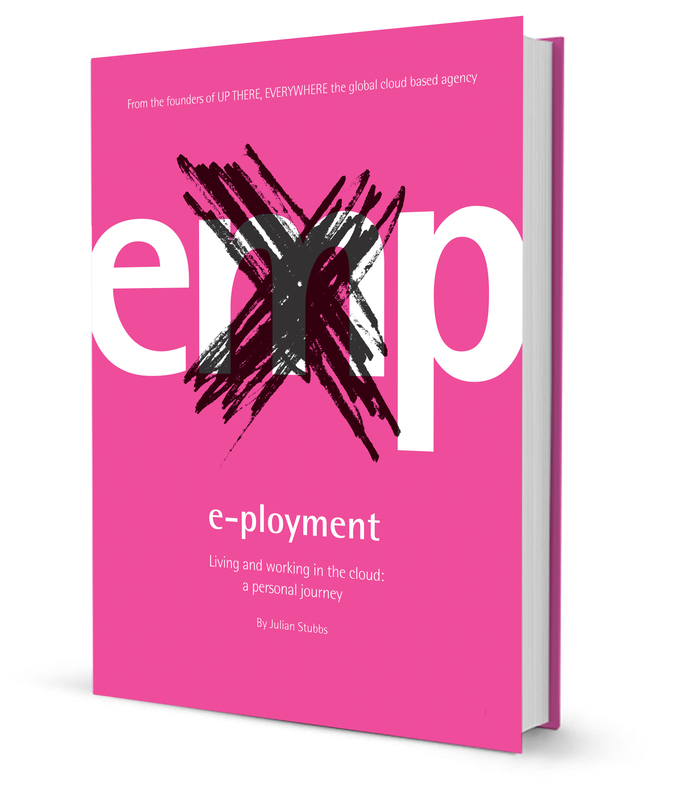 It’s featured in a section called Speakers Box, and talks about the growing trend of agencies working through the cloud. 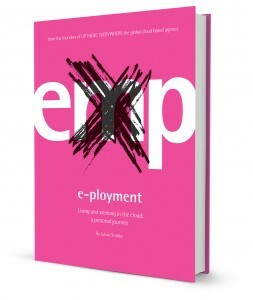 Introduction Julian Stubbs is founder and CEO of UP There, Everywhere, a global cloud-based consultancy group, which employs more than 150 people in 19 cities around the world. He is the author of Wish You Were Here (Create Space, 2012) which explores the branding of places and destinations, and E-Ployment The Third Way to Live and Work in the Cloud (Create Space, 2014). UP There, Everywhere’s list of clients includes the city of Stockholm, for which Stubbs created the brand positioning/tag line, “Stockholm, The Capital of Scandinavia.” In this “Speaker’s Box” offering, Stubbs argues that cloud-based agencies will become more common and that its operational tools—untraditional as they might be—offers many opportunities for marketers and research. We all recognize the speed of change going on around us. Things seem to be converging more and more as our personal and work lives becoming ever entwined. Today, we think nothing of watching a fun viral video on YouTube at 10 a.m. or answering business e-mails at 10 p.m. This is the picture for some of us who work in service industries. For many people, “traditional” employment is fast becoming a thing of the past. The cloud and the digital tools we have come to take for granted offer us more independence than we ever could have imagined. As more of us become self-employed, in fact, we are discover- ing that we can take control of our own lives and futures, which is exciting. What, however, is driving this new movement away from traditional—and, presumably—success- ful business (and personal) models? The aftershocks of the 2008–2009 financial cri- sis profoundly are affecting the way employees are viewed by the enterprises that may have pro- vided us with employment. If there is any sort of safety net, it has holes that are growing larger all the time. We are being encouraged to become more independent so that we do not cost governments so much money. Corporations are shedding us and outsourcing so that they can save money and make more for their shareholders. So, in short, in many cases, we have little choice over whether we become independent. employment. The majority of people still make the slog through a daily 9-to-5 grind. Does that make sense? My colleagues and I think not. In fact, we believe that digitally driven change is about to sweep away traditional (and failing) work norms and structures. The time has come to radi- cally rethink employment practices in the advertising, design, market research, and media industries. GOING IT ALONE I have been self-employed and I can tell you, it is a famine-or-feast environment. Typically, you end up working around the clock, employed on a project basis by large organizations that use you and then shed you because you are, well… disposable. Freelancers need to find work and man- age their own businesses. And, as such, they need to possess the skill set of a mini- CEO, overseeing all aspects of their busi- ness lives. It is the kind of 24/7 control that has an effect on our personal lives that need to exist around the all-out effort that goes into maintaining the business. We also are told that the consequences of failing to get work/life balance right can have disastrous effects on our well-being and that of our families. We also know we are in danger of becoming isolated and lonely without an office and a water cooler where we can gather with colleagues who have shared interests. And, with this insight, maybe being “free” does not sound quite so liberating. In addition, however, to the familiar 9-to-5 and the freelance patterns of work, we believe there is a third track. It is not employment as we ever have known it. And it is not freelancing. We call it E-Ployment. NO EMPLOYEES. NO OFFICES. JUST PEOPLE Running a creative, strategic, or research- services agency is weighed down by two major costs: people and offices. When times get tough—as they do in increasingly regular cycles in the marketing and research business—adjusting these two items is difficult and expensive. communities that will help them win work and will invest in ever-more sophisticated tools that improve productivity and track back-office administrative tasks efficiently. In our own case, one of the most impor- tant investments has been a customized administrative/finance system that has automated the tracking of our costs and the billings for all clients and members. It was a $250,000 investment, but it has been money well spent. And it has come out of our own cash flow, without a venture capitalist in sight. We have also invested in a system within our organization man- ages training and education—a key benefit of traditional employment—and events for socializing (a bonus in any healthy work environment). We do not worry, however, about walls and corner offices. Look where people work today: They are in coffee shops, sophis- ticated hotel lobbies, and (when weather allows) parks. When a more formal struc- ture is important—a place to work in quiet, for example—new-style shared-work spaces are springing up everywhere. We have found we cannot do away with meeting clients or colleagues. So we have developed “Creative Spaces”—places within existing facilities that we share with other independent creatives. The shared facilities are spots where people can go work, meet clients, mix with their colleagues, or just hang out. And, no, we have not skipped out on some of the creative comforts: These com- munal facilities have both printers, Wi-Fi, and café lattés and presentation rooms, sofas, and kitchens. It is everything we need but only when we need it. And it comes at a only fraction of the cost of a traditional office. We do not pressure people, however, to use the space. In fact, we even encourage everyone in our organization not to come into the office. It is nonproductive—and a waste.